Hedgeland, an urban fantasy of time travel. Dr April Neuland, a Professor of Ancient Languages turned non-fiction writer, has been plagued by dreams all her life, dreams of her past life in the Celtic Otherworld. Meanwhile, in a parallel dimension of April's past and Caridwen's future, Worthing, a Future History Professor, has allied with the Military to access Future Internet communications and use new technology to influence April to write an ebook novel revealing where she, in her past life as Caridwen, hid the Kiste, a device to travel through time and space. Hedgeland weaves all three time/space frames: Caridwen, Worthing and April. 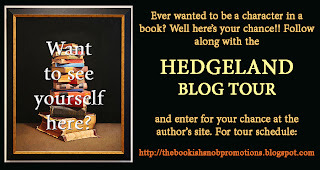 Hedgeland is the first in the Hedgecraft Sequence, but is a fully self contained novel with no cliff hangers. At first, I found the book hard to follow but I was fascinated by the intertwining of the worlds and the shift from past to present. The author has a very creative mind and I have never read a book like this one. I enjoyed all of the characters and the plot was very creative and complex. The author has a wonderful way with words and I cannot wait to read the next book in the series. Stop by tomorrow and you could win an digital copy of the book. 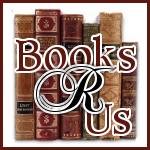 The author is virtually touring the blogosphere with the Bookish Snob Productions. Check out all of the other stops on the tour and you could be a character in her next book.